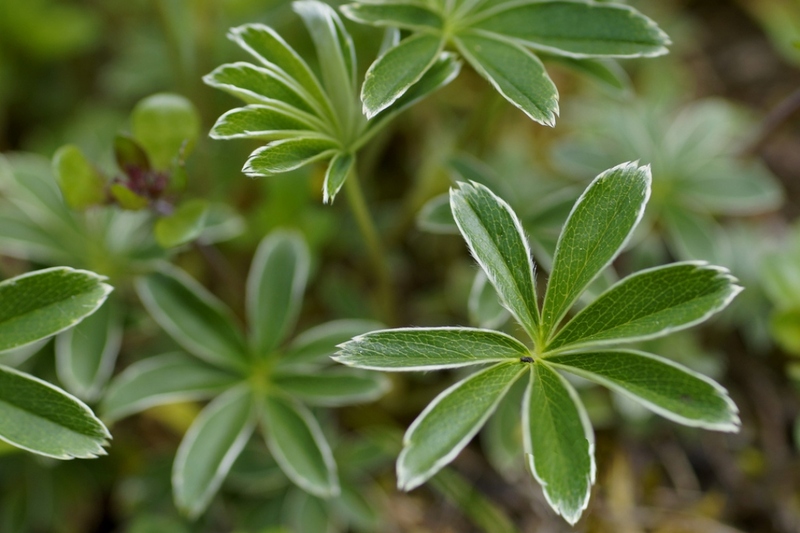 Alpine lady's-mantle (Alchemilla alpina): growing, planting, caring. 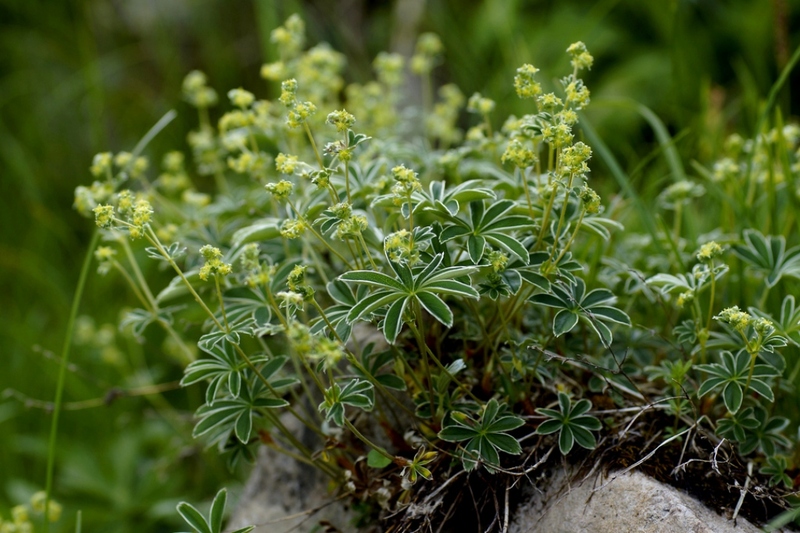 A small species of Alchemilla for rock gardens. Alchemilla alpina is a perennial plant growing to 10-30 cm, bearing palm-lobed leaves with 5 to 7 toothed lobes, silky and shiny on the abaxial surface - the lower side of the leaf! 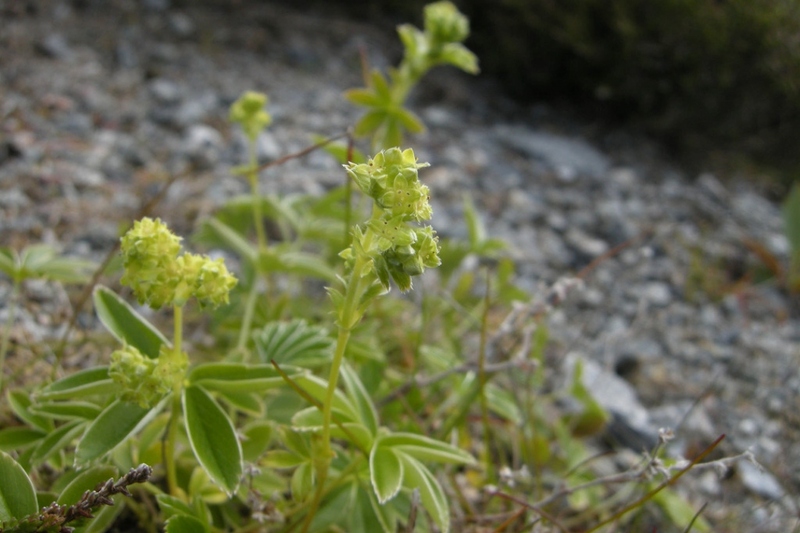 - with small white or greenish flowers.